Our edit of men's hats and caps takes you from hot summer holidays through the festival season and onto winter streetwear and ski slope styling. Wear plain designs for office commuting or support your favourite team with sporty baseball caps. The baseball cap is one style of men's hats and caps that truly travels the world and never seems to lose its popularity. The decision is not whether to have one but how you're going to style it. 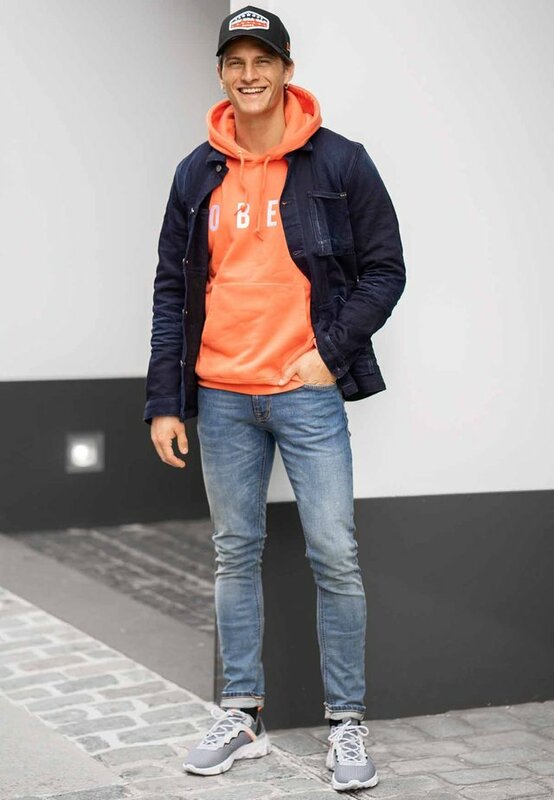 Subtle colours in plain designs work with everything from jeans and tees to your dark office suits and open-neck shirts while bright colours and bold logos make an urban statement with cargo pants and bomber jackets. For extra streetwear points or weekend breaks in the country swap your baseball cap for a wool cap in herringbone tweed. When you ned to fight the cold weather browse our men's hats and caps for pull-on beanies and bobble hats. Once reserved for the ski slopes they're now part of everyday winter style. Pick a ribbed knit beanie and pull it down low over your ears, then add rugged corduroy trousers, chunky jumpers and knitted scarves for winter walks in the countryside. If you want to really display some fashion know-how cuff your beanie or bobble hat and wear it hipster style on the back of your head. Add some straight leg jeans and a bold checked shirt and you're ready for urban nights out.